Owing to low entry barriers and ample of opportunities to grow, the global market for cheese powder is teeming with manufacturers of various sizes. This not just makes the landscape fragmented but also extremely competitive. Some of the players who enjoy a stronghold in such a cutthroat environment are Kerry, Kraft Heinz, Thornico, Dairy Farmers of America, Aarkay Food Products, Land O'Lakes, Kanegrade, Bluegrass Dairy & Food, Archer-Daniels-Midland, and All American Foods. Such prominent participants are seen investing in development of products to come up with more flavors and nutritional to suit the widely different palates of consumers. The smaller niche players cheese powder market are also following suit. Overall, an increasingly busy lifestyle of people leading to a surging demand for ready-to-eat is at the forefront of driving demand in the global market for cheese powder. Cheese powder find widespread usage in such easy-peasy preparations. However, rising concerns over obesity and overweight issues may serve to crimp uptake to an extent. With people becoming more health conscious these days, they are deliberately avoiding such calorie-laden food. In order to deal with the challenge astute companies are experimenting with different flavors and trying to add more nutritional elements and limiting the fat content in their products. The different types of cheese powders sold in the market are cheddar cheese powder, Swiss cheese powder, mozzarella cheese powder, blue cheese powder, and parmesan cheese powder. The cheddar cheese powder, of them, is expected witness greater demand over the course of next few years. Cheese powder primarily finds application in bakery and confectionery, sweet and savory snacks, ready meals, dressings, sauces, dips, and condiments. Among them, sauces, dressings, dips, and condiments generate maximum demand in the market and is trailed by sweet and savory snacks. Latin America, North America, Europe, Asia Pacific excluding Japan (APEJ), Japan, and the Middle East and Africa (MEA) are some of the key geographic segments in the cheese powder market. North America, of them, is expected to lead the market in the foreseeable future because of the widespread popularity if convenience food in the region. Europe will likely emerge as another key market due to the trend of ready-to-eat meals catching up in the region. Among other regional markets, Asia Pacific excluding Japan, is also predicted make gigantic strides in the upcoming years because of the growing pool of middle class in the region having the capacity to splurge on convenience foods. Thornico A/S, Kraft Heinz Co., Kerry Group Plc, Land O'Lakes Inc., Dairy Farmers of America Inc., All American Foods Inc., Bluegrass Dairy & Food Inc., Kanegrade Ltd., Aarkay Food Products Ltd., and Archer-Daniels-Midland Co. are to name a few of the prominent players in the global market for cheese powder. 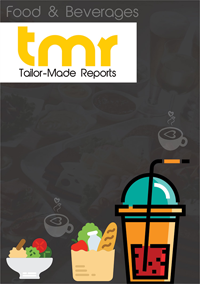 The report studies their sales and revenues and also their product portfolio. It sheds light on their winning strategies and future prospects.